Valentine's Day is a great time to show off your romantic side. 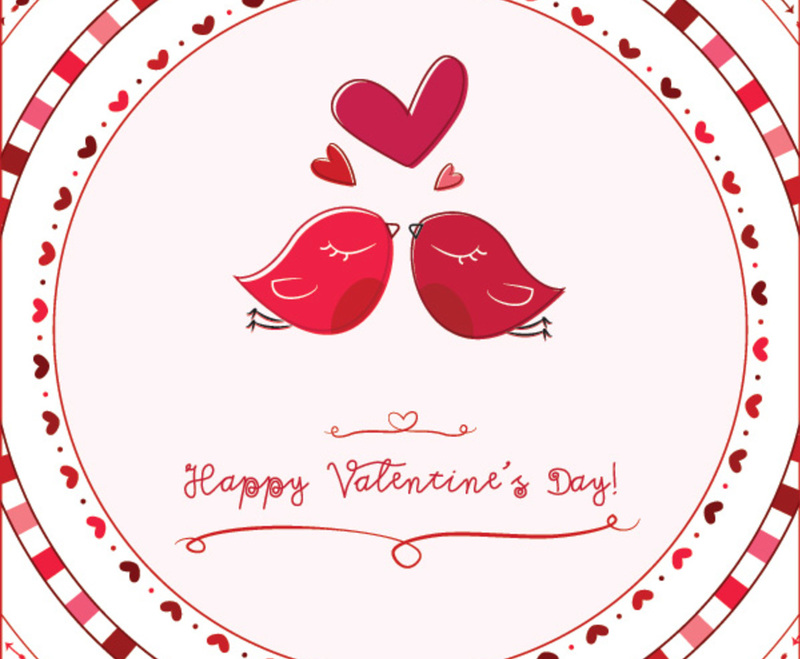 The kissing birds in the middle of this graphic effectively demonstrate the spirit of the holiday. Three hearts float over the top of the adorable couple. The hearts use three distinct shades of pink and red, setting up the palette for the rest of the image. A colorful set of circles frames the birds, and there are a few different patterns for some added complexity. However, the graphic never feels excessively complicated or stuffy; the birds are charmingly cute, and the scrawled text looks hand-drawn.